The Perth Soap Co. | Holiday Cleansing Bar Gift Set - The Perth Soap Co. 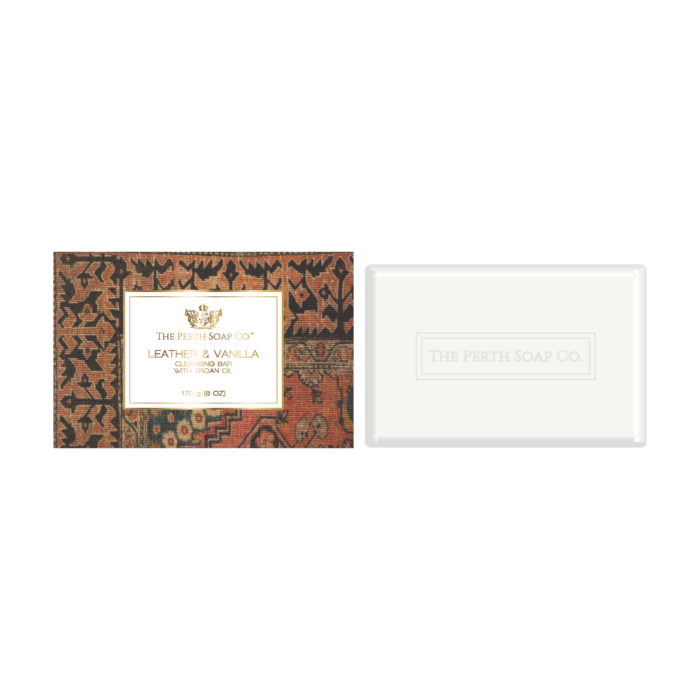 Vanilla Fig: The indulgent scent of lush vanilla and fresh figs paired with orchid and warm woods, perfect for fall and winter. 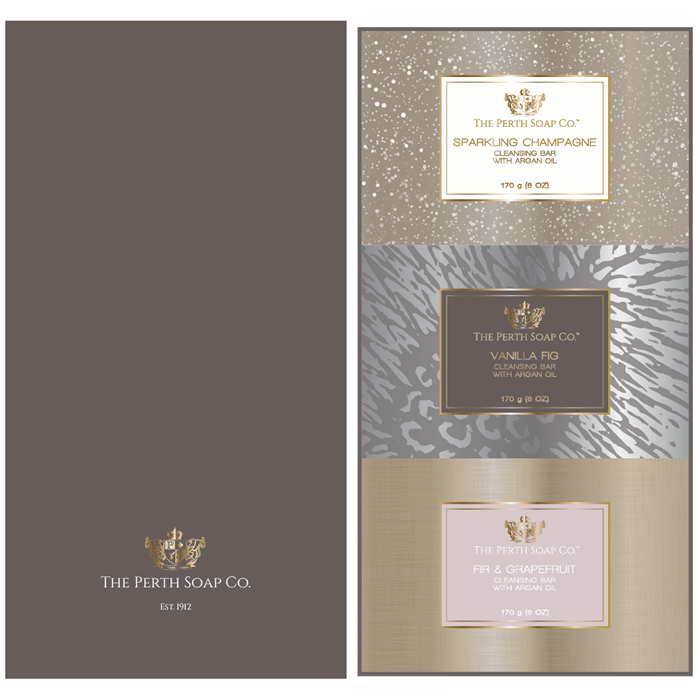 Sparkling Champagne: Brilliant effervescent champagne notes, an invigorating fruity aroma and serene sandalwood make every bath and shower feel like a celebration. Fir & Grapefruit: A festive combination of freshly cut balsam fir trees, juicy grapefruit and vetiver that is so invigorating yet familiar, invoking memories of holidays past. 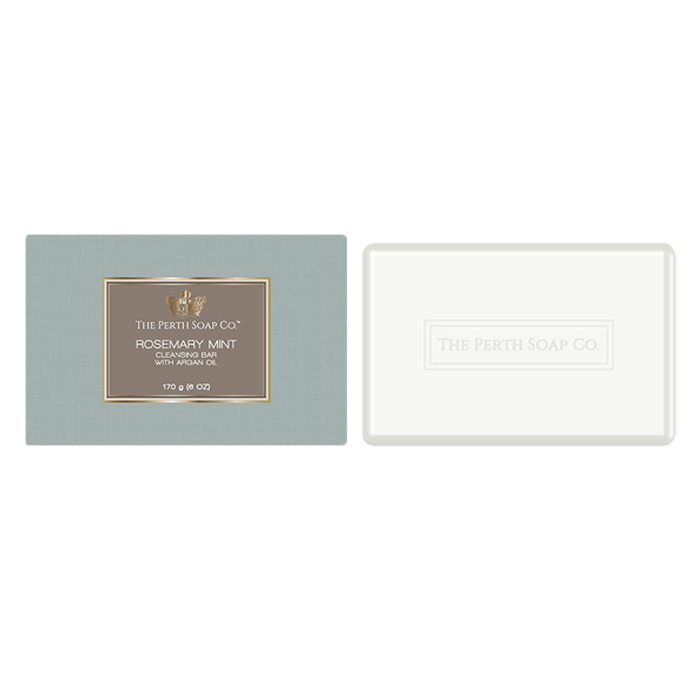 Our gift set includes three holiday-inspired scents in a beautiful box, embossed with The Perth Soap Co. crest. Perfect as a hostess gift for the holidays or all year round.